The following section details the answers to commonly asked questions regarding the Combat Sports Investment Fund also known as BOC Fund 1. Should you require more information please do not hesitate to contact us. 1. What type of company is Bet on Combat Investment Fund? Bet on Combat Group LLC is one of the largest alternative sports investment managers in the world, which seeks out investors from anywhere in the world, with the purpose of placing wagers on the outcomes of sporting events to profit and divide between the group. Please click here for more information about our firm. 2. What is an alternative investment? Traditionally defined as an investment outside the realm of stocks, bonds, real estate or commodities alternative investments include a wide range of asset classes. From more exotic segments such antiques or wine to mainstream alternative investments such as Hedge Funds with “quant” strategies or property management funds. Alternative investments have gained attention of investors worldwide looking for other place where excess returns might be more available. 3. When was the fund established and when did investing begin? The Bet on Combat Investment Fund, LLC was established on January 1st, 2010 in Antigua. The Fund Manager, Franco Richard was also licensed by the State of Antigua and Barbuda on 01/17/10. The first investing began February 6, 2010 with UFC 109: Relentless. 4. Where are Bet on Combat's offices located? Our headquarters is in St-John's, Antigua and we have offices in Montreal, Las Vegas, Paris, and Hong Kong. Please click here for more information about our office locations. 7. 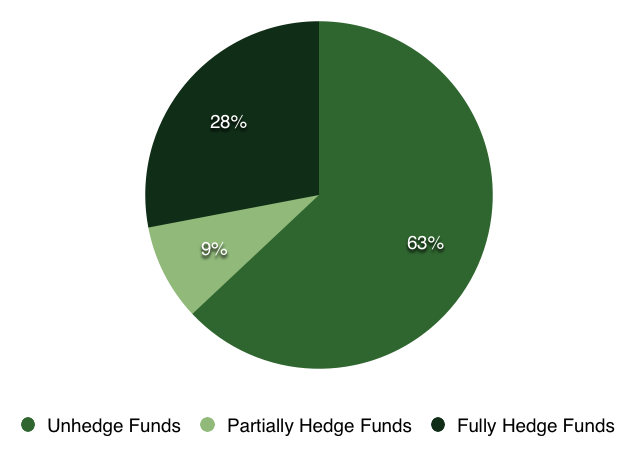 What's the minimum investment in the fund? The current minimum investment is $1,000 for one Share in the fund. It's subject to increase due to high volume. 8. How do I know my account balance? You will receive an electronic monthly statement showing all transactions and month end balance. You can also see on your Bet on Combat profile. 9. Why should you invest in the Bet on Combat Investment Fund? Bet on Combat believes that sports betting is a profitable alternative form of investment not correlated to the financial markets. 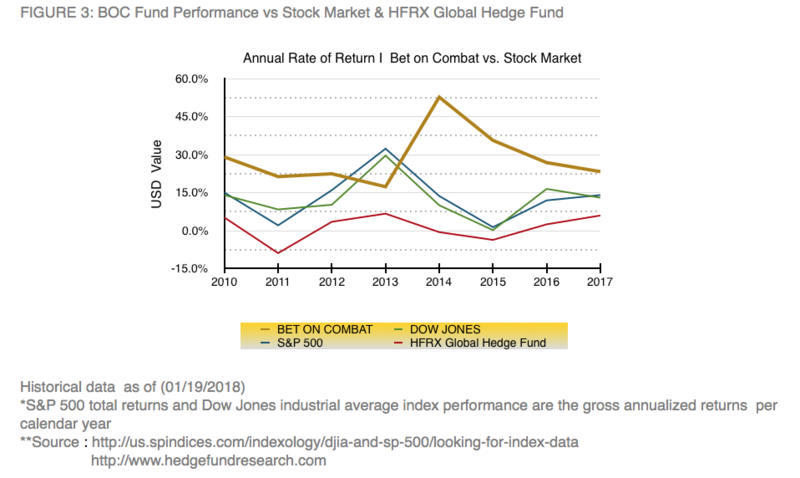 Non-correlated Returns: The Bet on Combat's Fund returns are not correlated to the performance of traditional investment products such as stocks, bonds, property etc. Subsequently, the Bet on Combat Investment Fund can provide your investment portfolio with valuable diversification. Investment Returns: Bet on Combat Investment Fund returns have historically been commensurate with other mainstream investment products. Subsequently, as part of an overall portfolio, an investment with Bet on Combat Investment Fund can bet highly attractive. Recession Proof: The asset classes invested in by Bet on Combat Investment Fund are ostensibly impervious to domestic or global economic conditions and hence superior returns can be achieved more consistently. Liquidity of Investment: Unlike other investment classes there is no lock up period associated with the investment. Subsequently, immediate access to invested funds is possible (see Question 10 below for more detail). Tax-Free: The Bet on Combat Investment Fund provides investment returns that are tax-free, thus making the effective return superior to other investment products. 10. Why should I invest in the BOC Fund and not just bet on my own? We've seen a lot of bettors come and go over the years. The top reasons why bettors fail are 1) lack of proper education and 2) betting without enough capital. The Bet on Combat Investment Fund solves both these issues and levels the playing field. Plus, the Bet on Combat Investment Fund is an opportunity to trade with huge amounts of betting capital with NO annoying PDT Rule restriction like in the Stock Market. 11. What kind of bets does Bet on Combat Investment Fund make? BOC Fund® is a sports investment fund, focused primarily on the combat sports betting market. We are an exclusive combat sports investment fund. Our investment universe includes international boxing (WBC, WBA, WBO, IBF), Kick-boxing, Muay Thai (Glory, K-1) and Mixed Martial Arts (UFC, Bellator, ONE Championship, Professional Fighter League, Invicta, Titan). We will also consider others international events where appropriate. 12. Why only combat sports? Simply because combat sports provides an ideal combination of profitable opportunities with sufficiently high betting limits. We do plan to expand to other sports in future years. 13. Can I find out the investment selections made? Yes! You may opt to receive all investment selections via text 5-10 minutes before fight time. This will give you a rooting interest. We will send you notifications with game picks and we will provide updates on how your fund increases real-time. You will have transparency during and after all the action, making the experience easy and fun. Our database will be updated with all wagers and reflected in your account through our website www.BetonCombat.com. Stay tuned for our IOS and Android compatible app launching soon which will allow you to monitor your funds on the go. 14. What is Bet on Combat Investment Fund strategy and objective? The objective of the funds is to mitigate much of the risk inherent with combat sports event betting and generate returns in excess of the major American & UK stock market and global hedge fund indices. 15. How does BOC Fund compare to investing in stocks/bonds? BOC investors profited 82.1% in 2016 and generated an average annual return of 49.28% since inception! On most months, we've not only outperformed the S&P 500 index and every mutual fund, but have generated for our client’s more superior returns than they could have made off any other types of investment! There’s a higher risk betting on combat sports than investing in bonds or T-bills, but when done correctly under a proven and disciplined bankroll system, it is safe and the rewards are much greater! Not to mention, it's infinitely more fun to wager on and profit from combat sports than stocks. 16. Can sports investing help with long-term wealth? The single driving vision behind BOC Fund®, is the desire to enable and cultivate investing for young North Americans. Wealth disparity is at an all time high, while investing is at an all time low. BOC Fund® creates a fun experience, that scientifically has shown to be a superior alternative asset class compared to Wall St. investments, and grows the long-term wealth of its customers. 17. What is the duration of the investment required to achieve the goal of performance? BOC Fund® focuses its activities on creating portfolios flexible, one-year or multi-year characterized by a rebalancing of the same at the beginning of each new year. 18. Does the Global market provide enough liquidity for an investment in an asset class of this type? The short answer is yes. Global on-line investment was upward of US$144 billion in 2017*. This provides sufficient liquidity and opportunity for Bet on Combat to operate without having a detrimental effect on either the markets or the potential investment returns. The medium term target for total funds under management is $USD40 million. This figure is based on the current size of the global sports investing market, assumes minimal growth in this sector**, and the ability to readily deploy assets without materially effecting the markets within which BOC Fund® operates. ** Bet on Combat Group has intentionally been very conservative in ascertaining targeted funds under management. 19. If BOC Fund has such good money-making systems and opportunities, then why the need to seek additional investors? BOC Fund® was started solely with the founder’s capital. Bet on Combat management & shareholders still account for over 30% of FUM. Additional investment provides the advantages associated with scaling the business and allows access to many more investment opportunities. The infrastructure and organization that was developed to deploy the initial capital can readily be used to “run” the targeted USD$40 million. It makes business and commercial sense to utilize more fully the existing infrastructure. 20. What is the investment structure and regulation of my investment? One is not investing in shares in the Bet on Combat Group itself, but rather shares in an investment fund that is being managed by Bet on Combat Group. Bet on Combat Group will maintain a register of all investors and their respective interests in the investment fund. Bet on Combat Group’s fund is not a registered managed investment scheme, but rather it is being operated as a small-scale private fund with limited investors. For this reason, the Bet on Combat Group’s investment fund is not being regulated by the U.S. Securities and Exchange Commission (SEC), the UK Financial Conduct Authority (FCA) or any provincial governing body which are members of the Canadian Securities Administrators (CSA). Thus, BOC Fund avoid direct regulatory oversight, bypass licensing requirements applicable to investment companies, and operate with greater flexibility than mutual funds and other investment funds. Bet on Combat Investment Fund is an open-ended investment company incorporated in Gibraltar on 9 March 2016 with registered number 114183. Investors will be issued Participation Shares which will be offered during the Initial Offering Period at an issue price of $1,000 per Share. Investors subscribing on each Subscription Date will be issued a separate Series of Participation Shares. 21. What is the optimum timeframe of my investment? It is assumed that the funds will be invested for a minimum of 12 months although it is recommended, that like other investment vehicles a 3-5 year time horizon be chosen. You may redeem your investment at any time after the initial 12 months in accordance with the procedures set out below. If you require your investment to be redeemed within the initial 12 months due to financial hardship, Bet on Combat will consider your request. 22. How much will I pay in performance fees, taxes etc? Bet on Combat will receive a performance fee of 25% of any investment return above the initial investment. There are no entry or exit fees. All expenses will be the full-responsibility of Bet on Combat. Each investor will incur a 5% management fee (of starting annual FUM). Taxes will be the full responsibility of each investor. The fund will distribute all returns on a before tax basis. Each investor will be responsible for tax (if any) on all their distributions even if they elect to reinvest some or all of these distributions. 23. Are there any other expenses? Clients are responsible for the wire transfer fees on all deposits and withdrawals. 24. Why doesn't BOC Fund cover wire transfer fees? Much the same reason why stock trading platforms don't cover transactions costs - a high turnover client, or a competitor posing as a client, could easily create havoc by making excessive transactions and rapidly escalating costs. 25. What is the procedure investment return calculations and reporting? Investment return will be calculated before any performance fees and the deduction of management fees. Reporting of returns will be presented to unit holders on July 15th (final) and January 15th (interim) each year. Quarterly statements will be distributed to each investor and accessible via the website. 26. What is BOC Fund's fiscal year end? BOC Fund's fiscal year end is December 31. Our reporting quarters correspond with calendar quarters. 27. Who is BOC Fund's independent auditor? BOC Fund® use an independent Audit Committee chair by a Chief Audit Executive. Please click here for more information about the Audit Committee firm. 28. How do I get a copy of BOC Fund's latest annual report? Please click here to access a copy of our latest annual report. You may request a hard copy be sent to you by clicking here. 29. What happens with distribution of dividends? An investor can elect whether he/she chooses to receive distribution or have his/her distribution reinvested in the fund. If the distribution option is selected, distribution will be made within 14 days of the reporting of returns. The fund will advise the amount payable as distributions two weeks prior to distribution date. BOC shares, can typically be purchased or redeemed as needed at the fund's current net asset value (NAV) per share, which is sometimes expressed as NAVPS. A fund's NAV is derived by dividing the total value of the securities in the portfolio by the total amount of shares outstanding. 30. How do I redeem your investment? Please notify in writing the Bet on Combat Investment Fund with this intention, providing nominated bank account details. 60 days notice is needed owing to the requirement to liquidate in an orderly manner – if funds are required in less than 2 months, a 5% processing fee maybe incurred. If at the time of redemption request there are no open investments, an investor will receive the entirety of their funds on the 1st day of the month following the redemption request. Redemption amount will be determined as at the most recent past distribution date. 31. How big is the betting fund and how many people are involved? The value of the betting fund and the number of investors is protected information. Bet on Combat Investment Fund, LLC will be limiting initial participation as well as investment capital so as not to allow syndicate oriented influence. 32. Where are funds held? All BOC Fund investors accounts are held by The Bank of Antigua (and in a FDIC insured Nevada bank). Our sports entity investment account is held by Bet on Combat Group, LLC. 33. Which authorities have primary responsibility for regulating funds, fund managers and those marketing funds? The Eastern Caribbean Securities Exchange (ECSE) is the main regulatory body in the Antigua and Barbuda that oversees open-ended investment funds, fund managers and those marketing investment funds. The statutory framework under which ECSE derives its supervisory responsibilities (in respect of investment funds and investment managers) is set out in the Mutual Funds Law and the Securities Investment Business Law (the SIB Law). *BOC Fund is not registered with the Securities and Exchange Commission, nor does it have to be for SB443. It is purely for reference. 34. Is it legal and regulated? BOC Fund® is completely legal and is growing each and every day. 35. Is BOC Fund® an actual mutual fund? Contrary to commonly used shorthand terminology in this nascent industry, entity wagering firms are not actual "mutual funds." Mutual funds require registration and ongoing compliance with the U.S. Securities and Exchange Commission (SEC), the UK Financial Conduct Authority (FCA) or any provincial governing body which are members of the Canadian Securities Administrators (CSA). 36. Why do other entity wagering firms call themselves mutual funds? They likely have not performed sufficient due diligence to understand that they are not actually mutual funds and shouldn't refer to themselves as such. Simply calling such a company a "fund" is fine, but "mutual fund" would in fact be misleading investors. 37. How do I know my investment is safe? Online Notary is the answer. That’s right! we partnered up with Notarize.com to integrate their service with our investors. Now you don’t have to take a trip to the nearest post office or bank to notarize your application. Simply click through the wizard and you’re done. Deposits are safe and securely made via Stripe. All parties will have records of all wire transfers for a clean and simplified paper trail. 38. Is my personal info safe and why do I need to provide personal information? Our site offers the latest SSL encryption to keep your personal information safe. Just like opening an account in person at a sportsbook, personal information is required to invest. 39. Will I have to pay income tax on my investments? No. This is a non-taxable investment. 40. Is there any risk? As with any investment there is always the risk of losing your investments. Past performance cannot guarantee future results. We strongly advise all interested parties to seek financial advice prior to investing. 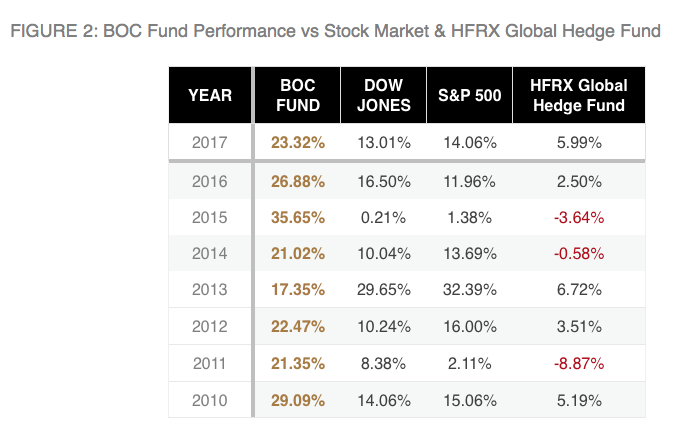 BOC Fund is committed to mitigating risk by exercising strict discipline in implementing our strategy, performing extensive analysis on the lines and limiting wagers to 5% of the fund value. 41. How do I know I can trust a firm like Bet on Combat Group, LLC? Bet on Combat's Chief Financial Officer, holds the Chartered Financial Analyst designation, and thus is obligated to uphold fiduciary standards, meaning acting in the best interest of clients at all times and upholding a strict code of ethical standards. Violating this code can result in suspension or revocation of the charter. 42. What happens if I lose money? BOC Fund charges 25% of investment profits; if profits are zero or negative, BOC Fund would not collect a fee. BOC Fund's philosophy is that if you don't make money, we don't make money. Investors can be from anywhere in the world, are 21 years of age or older and have valid identification. All potential investors go through a verification process which includes address, drivers license and proof of income. Investors must provide their name, residential address, valid photo identification which also verifies they are at least 21 years old and social security number. Please satisfy yourself however that under any taxation, foreign exchange or legal legislation in your home jurisdiction, that you are able to invest with Bet on Combat Investment Fund. 44. How do I apply? Simply complete an application form and return it to the Bet on Combat Investment Fund with full details of the proposed investment fund selection. Please satisfy yourself however that under any taxation, foreign exchange or legal legislation in your home jurisdiction, that you are able to invest with BOC Fund®. Simply complete an application form and return it to BOC Fund. Step 1: Register to become a member. Create a free user account via the Register page. You'll be ask to verify your email and then redirected back here to BetonCombat.com now ready to login by entering your username and password. Step 2: Apply to become an investor. Go to the Investing page and complete the banking and personal information sections of the investment form. Turnaround time is usually 2-4 days. Step 3: Get approved to invest. Upon approval and background check clearance by BOC Fund, clients make a wire transfer to BOC Fund’s Bank of Antigua business account designed to hold investor funds. Step 4: Investing on combat sports. The balance is then wired to BOC Fund’s sportsbook account where wagers can be executed at a risk level previously determined. Step 5: Watch your investment perform & enjoy with amazing results! NOTE: Make certain you understand the program and that is best done by thoroughly reviewing the information on the web site. You may also speak with one of our staff members who will be happy to answer any questions. The next step if you decide to make an investment into the fund is to review and complete a fund Offering Agreement, a Subscription Agreement and a Operating Agreement. The USA Patriot Act requires all financial institutions to obtain, verify, and record information that identifies each person who opens an account as a way of assisting the government in fighting the funding of terrorism and money laundering activities. When you open an account, we will ask for your name, address, date of birth and other information that will allow us to identify you. We may also request to see your driver's license or other identifying documents. 45. Tell me how does the Pre-Authorized Investment Service Work? BOC Fund Pre-authorized Investment debit is a convenient way of investing. It’s easy. Just choose the amount you want to invest and how often you want to invest it. That amount will be automatically deducted from your checking account or charge your credit card and deposited in the BOC Fund to your name. You’ll invest money on a regular basis without even thinking about it. It’s the easiest way to Invest. 46. How can I contact Investor Relations? For further information about the fund, you can obtain a copy of these documents on our website at BetonCombat.com/Investing.